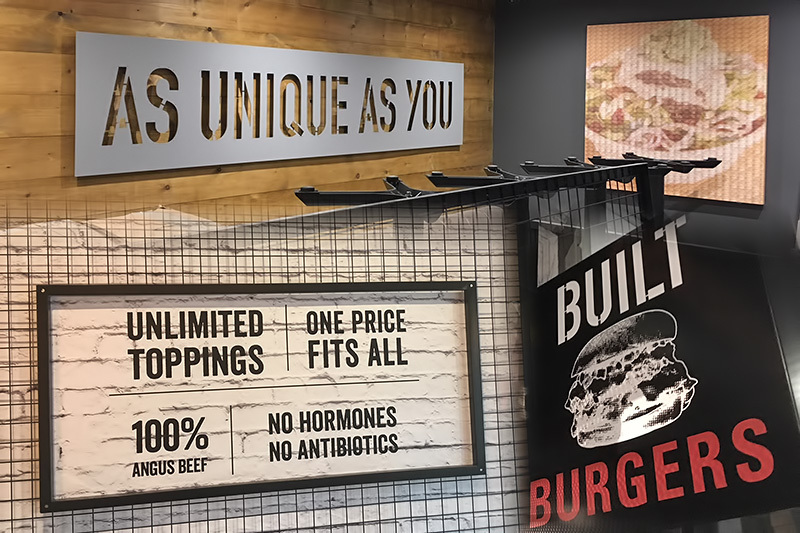 The beginning of 2018 has seen Benson Signs complete the first 'custom BUILT burgers' store in the UK. 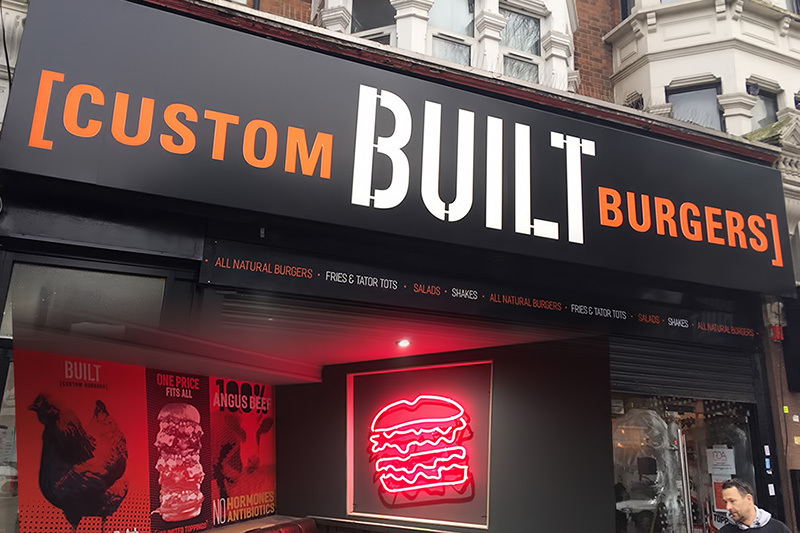 The BUILT® concept originating in Los Angeles allows customers to create a high-quality burger in a "build-as-you-go" setting. The external and internal signage scheme saw an eclectic mix of products all manufactured in-house. The external facade included an LED illuminated, aluminium sign tray with cnc cut details and push thru 10mm acrylic lettering. A projecting sign, LED illuminated menu case and self adhesive vinyl lettering. The internal signage included hand painted signwritten details illuminated by specialist spot-lights. Specialist conformable brick vinyl which was heat applied to the internal bare brick walls. 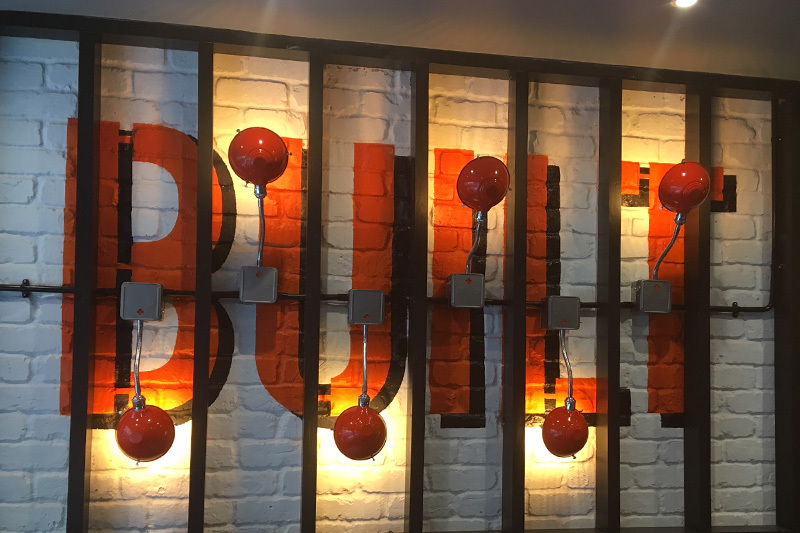 A traditional low voltage neon sign and digitally printed wallpaper to match the internal rustic brick pattern. We utilised all of our manufacturing skills to accomodate the client and wish them well in what is the first UK store situated in Ilford, East London. 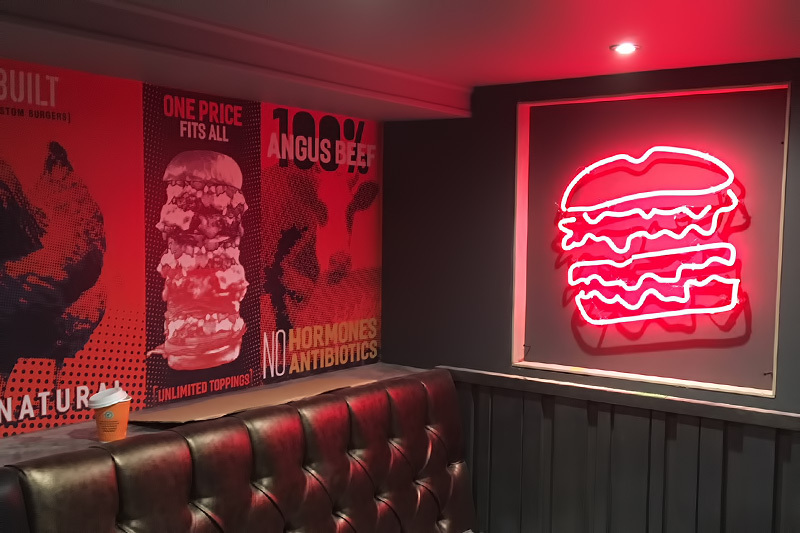 American based burger chain open first store in the UK.